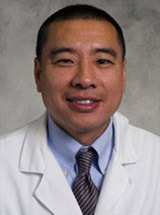 Dr. Yang is employed by Penn Medicine. Margalit Ofer, Mamtani Ronac, Kopetz Scott, Yang Yu-Xiao, Lawrence Yaacov R, Abu-Gazala Samir, Reiss Kim A, Golan Talia, Halpern Naama, Aderka Dan, Giantonio Bruce, Shacham-Shmueli Einat, Boursi Ben: Refining the Use of Adjuvant Oxaliplatin in Clinical Stage II or III Rectal Adenocarcinoma. The oncologist : 2019. 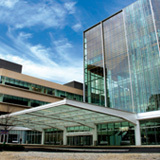 Zhou MJ, Li J, Salmasian H, Zachariah P, Yang YX, Freedberg DE: The local hospital milieu and healthcare-associated vancomycin-resistant enterococcus acquisition. J Hosp Infect 101 (1): 69-75,2019. Khan N, Lee H, Trivedi C, Kavani H, Medvedeva E, Xie D, Lewis JD, Yang YX: Mortality Associated With Development of Squamous Cell Cancer in Patients With Inflammatory Bowel Disease Receiving Treatment With Thiopurines Clinical Gastroenterology and Hepatology : 2019. Cohn E, Lurie I, Yang YX, Bilker WB, Haynes K, Mamtani R, Shacham-Shmueli E, Margalit O, Boursi B: Posttraumatic Stress Disorder and Cancer Risk: A Nested Case-Control Study. J Trauma Stress 31 (6): 919-926,2018. Sinnamon AJ, Song Y, Sharon CE, Yang YX, Elder DE, Zhang PJ, Xu X, Roses RE, Kelz RR, Fraker DL, Karakousis GC. : Prediction of Residual Nodal Disease at Completion Dissection Following Positive Sentinel Lymph Node Biopsy for Melanoma. Ann Surg Oncol 25 (12): 3468-3475,2018. Khan Nabeel, Trivedi Chinmay, Kavani Himanshu, Lewis James, Yang Yu-Xiao: Frequency of Herpes Zoster Vaccination Among Inflammatory Bowel Disease Patients. Inflammatory bowel diseases : 2018. Margalit Ofer, Mamtani Ronac, Yang Yu-Xiao, Reiss Kim A, Golan Talia, Halpern Naama, Aderka Dan, Giantonio Bruce, Shacham-Shmueli Einat, Boursi Ben: A new look at the International Duration Evaluation of Adjuvant therapy (IDEA) classification-Defining novel predictive and prognostic markers in stage III colon cancer. European journal of cancer (Oxford, England : 1990) 96 : 105-110,2018. Khan Nabeel, Trivedi Chinmay, Shah Yash, Patel Dhruvan, Lewis James, Yang Yu-Xiao: The Severity of Herpes Zoster in Inflammatory Bowel Disease Patients Treated With Anti-TNF Agents. Inflammatory bowel diseases 24 (6): 1274-1279,2018. Margalit Ofer, Mamtani Ronac, Yang Yu-Xiao, Reiss Kim A, Golan Talia, Halpern Naama, Aderka Dan, Giantonio Bruce, Shacham-Shmueli Einat, Boursi Ben: Assessing the prognostic value of carcinoembryonic antigen levels in stage I and II colon cancer. European journal of cancer (Oxford, England : 1990) 94 : 1-5,2018. Khan Nabeel, Trivedi Chinmay, Shah Yash, Cole Elisabeth, Lewis James, Yang Yu-Xiao: The Natural History of Newly Diagnosed Ulcerative Colitis in Patients with Concomitant Primary Sclerosing Cholangitis. Inflammatory bowel diseases : 2018.